Update: Samsung Galaxy S4 Lollipop User Manual (PDF) is available. If you have updated your Android Lollipop, please use the updated Galaxy S4 user manual for Lollipop here. Smartphones nowadays are so complicated and with so many features, you may need a manual in your phone or PC. This page is a collection of the official Samsung Galaxy S4 manual for you. We even have an HTML version Galaxy S4 online manual for you to check on-the-fly. You may also explore Galaxy S4 unique features in Galaxy S4 features explained page. Here are the list of official Samsung Galaxy S4 User Manual in PDF format in different languages for both I9500 and I9505 (and their variants). You may download them and read them offline. Of course, you can read them online as well. If you want to read the S4 manual online, you may read here (in English): Galaxy S4 Online User Manual. NEW!! and recommended: Samsung Galaxy S4 Hand Book (in different languages) was added. This is a pictorial book illustrations of major functions. They are marked in red color below. 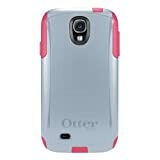 If you cannot decide a case or cover for your Samsung Galaxy S4, you may check this Galaxy S4 case and cover guide. New!!! Now each language of Galaxy S4 User Manual (and Handbook) has own page! It is easier to find your preferred language version of the Galaxy S4 manual. And you can read the Galaxy S4 manual online directly using the embedded viewer (if you do not want to download them). This page will still be maintained and updated. You can request new languages through comment box below. Because the file size is more than 10MB (usually 10-40MB), please do not download with mobile data (unless you have big or unlimited data plan). You can download them when you have broadband connections. To download Samsung Galaxy S4 user manual and hand book, you can simply right click the links, then choose “save as” to save the PDF user guide to your local machine. If you need user manual or hand book in other languages, please post your request in the comment box below. We will try to add as early as possible. Did you find Samsung Galaxy S4 user manual you need? If you need help to get your Samsung Galaxy S4 user manual, please let us know in the comment box below. No french version of the manual ?? The French version of the User Manual now is added. In addition, a pictorial handbook illustrating major features (in French) was also added. Brazilian Portuguese version of the user’s manual was added. When will you upload a version in Spanish??? Spanish version of the user’s manual and the handbook were added. where was is added in Spanish for the GT-I9500 ? I couldn’t find it. Could you please send me a link? Thank you in advance. #9 and #10. They are for I9505, but should be applicable for I9500 if you get your S4 from European market. Hey, how about a Japanese version? Is there one out there? Japanese version of the S4 manual was added. Arabic version was added. Enjoy. Finnish version owner’s manual was added. Thai version of the owner’s manual was added. Russian version of the owner’s manual was added. Samsung ¿No contempla el catalán? Sorry, we haven’t found the manual in Catalan language. If we can get one, we will update this page. Polish version of the user manual was added. We are actually trying to an html version (like S4 features). Hopefully, it will finish in this month. You may come back in early July to browse and search. Hello, I couldn’t find the manual in Bulgarian? Both Owner’s Manual and Handbook in Bulgarian language were added. manuales para el s4 ( i9500 ) en español ? Spanish version was already listed (No.9). yo estoy buscando del i9500 no del I9505. Actually, the major difference between I9500 and I9505 is the chip (CPU, to be less accurately). This means the user manual does not have much difference. We only have the pictorial handbook for Galaxy S4 in Hebrew, which was just added (No.25). Once we get the Hebrew version of the Owner’s Manual, we will post it here. We do not have Hindi version of the user manual yet. No burmese here either… can you please add? Sorry, we did not find Burmese language version of the user manual. Is it possible to get Croatian version of the User Manual. Thank you in advance. The Croatian (hrvatski jezik) version of the user manual (#32) and handbook (#33) was added. Italian version of Galaxy S4 user manual, and handbook, were added (#34, #35). is there a slovenian manual? Sorry, we haven’t found it yet. How about Persian (Farsi) version? it seems we failed to find it. We just added it as #39.
added. #36. Galaxy S4 I9500 User Manual, Indonesian (Bahasa Indonesia), Jelly Bean. sorry! my Boss asking for Korean Language. #37 and #38 on this page. Klingon? Can I get a Klingon version? If not, I will be forced to run my bat’leth through you! Only Symbian is used there. Dansk version ? Ikke her. Sorry, we cannot find it. Samsung Galaxy S4 manual in Vietnamese language was added #42. Or #12 in the list. Galaxy S4 Active user manual (GT-I9295) was added #43. Probably not. We will add it if we can find one. necesito el manual del S-4 Active, en español. Gracias. Added Spanish version user manual for Galaxy S4 Active. 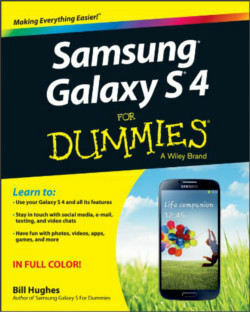 Greek version of Galaxy S4 user manual was added #45.